2018 was a crazy year. randoms, and food from the past year. One of my absolute favourite things that’s happened in 2018 was finding out that my older sister Stephanie is pregnant with a baby boy! So many people have been praying for this baby, and God finally answered all of our prayers in blessing her with this sweet boy. 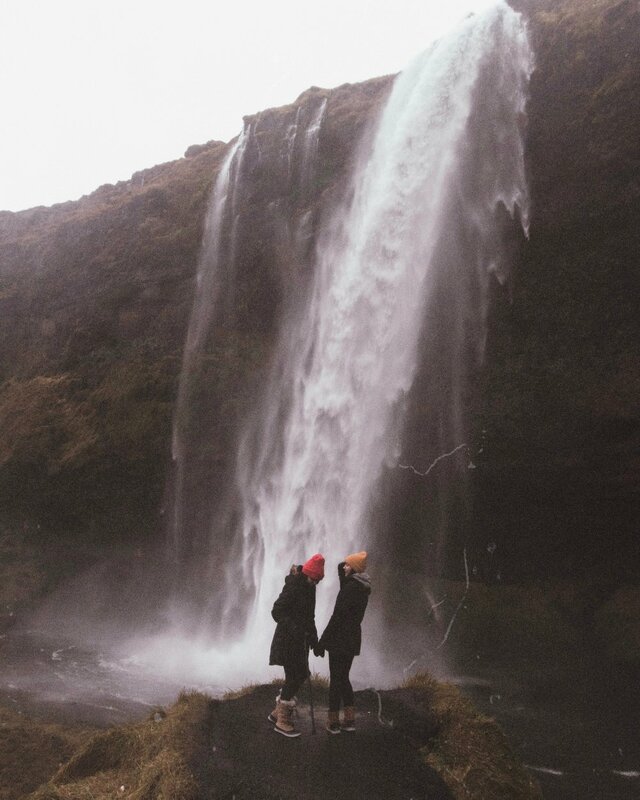 Being able to go to Iceland with my younger sister Ally was definitely one of my 2018 if not lifetime highlights. It was amazing being with her while she experienced something as exciting as visiting one of her dream trips. She’s always wanted to go to Iceland, and we kind of planned the trip last minute-ish (one month in advance) and jetted off! In December, we jetted off to California and the trip was so much fun. A highlight of the trip was Joshua Tree. I’ve never been to the desert before and it was really cool. The trees out there are so weird looking haha. I almost stepped on a cactus - I accidentally tapped a little cactus on the ground and it got stuck to my boot, so I shook my foot and it rolled to the underneath of my boot and got stuck 2 inches deep into my boot (even without stepping down). I had to pick out the spikey bits out with tweezers or else I woulda been pricked! I have said this before, and I’ll say it again: I hate buying jeans. H A T E. I was watching one of my favourite Youtubers, Samantha Maria, and she mentioned that the jeans she was wearing were from Topshop and raved on how comfy they were. It perked my interest but I didn’t go out and buy them. Then another Youtuber that I watch, Megan Ellaby also talked about how comfy said Topshop jeans were and again my interest was perked. Now, Topshop is expensive (to me). I was hesitant to buy the jeans because they were around $75-85, and I’ve never spent that much on jeans before. But now I own 3 pairs and they’re the only jeans I wear. I’m allergic to soooo many skin products it’s crazy. I’m always searching for products that don’t give me hives or rashes, and I finally found one that I love. It’s the Origins Checks And Balances Frothy Face Wash. The face feel while washing is so different than any other face wash that I’ve used, and it’s actually been helping my skin clear up. I use Lush’s 9 to 5 to remove my makeup. It’s soft and gentle and doesn’t leave my skin feeling oily. I always wash my face after using this to make sure I really get the makeup off, so techically I do a double cleanse. I did this all year and even into this new year, and I’ll most likely keep up this routine! This isn’t technically “beauty” but it has been my most used item all year. For all of 2018 I’ve had issues with my neck and nothing helped the pain except for this Tiger Balm Arthritis Rub. It’s the only pain relief thing that I used, and still use, for my neck. I hate taking pills and medicine, so this is my go-to for pain relief. In 2018 I really wanted to start being more eco-friendly and less wasteful. I purchased reusable produce bags from Amazon and I use them pretty much every grocery shopping trip. They’re definitely a great place to start in cutting out unnecessary plastic use. I was late to the Greatest Showman party, but the second I watched it I was hooked. Three songs from the soundtrack were on my Spotify Top Songs of 2018. It’s such a feel good movie with a great message and super catchy songs. Rewrite The Stars was my most played song on my Spotify hahaha. Good Thing by Leon Bridges was one of my top played album of 2018, so I definitely need to include this here. So many good songs. Beyond was my most played song off the album. I included this in my Summer Faves, but this FOR SURE needs to be included in my year fave. Opening New Doors is by far the best season of Terrace house. Shion and Tsubasa… Gah.. Taka.. Shohei.. So good.. Definitely recommend you watch this show lolll. I’d been on the hunt for a banana bread recipe that had way less sugar, that was vegan, and that didn’t taste like poop. After many many failed recipes that just weren’t good I finally found one that Jerome and I both like! It’s from the blog Oh She Glows - we actually have her cookbook and have loved everything we’ve made so far! I posted a mini 2018 Year in Review on my Instagram stories at the end of the year, and I thought I’d share it on here too. I hope 2019 will be ace for you.